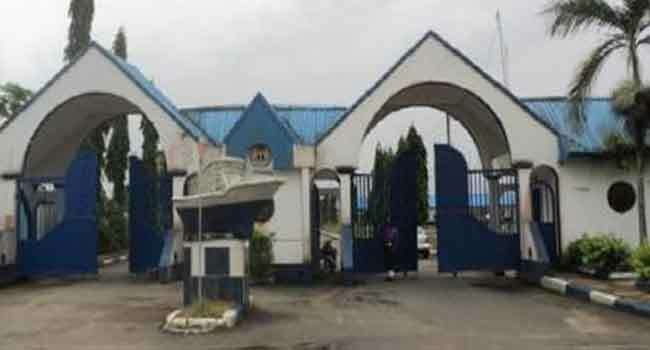 The less-than-one-year-old Nigeria Maritime University, Okerenkoko, is at the verge of collapse due to underfunding, the Ijaw Youth Council (IYC) has cried out. National President, IYC worldwide, Roland Pereotubo Oweilaemi, Esq, made the cry in a statement made available to journalists in Warri, Delta State recently. He said a visit to the university by IYC recently revealed that the Federal Government has completely abandoned it, saying the learning citadel is in a pitiable State. “The pitiable condition of the institution has threatened its continues existence. The Council on our unscheduled visit to the School was made to understand that the FG only paid N2b out of the N5btake-off grant it has earlier pledged to pay. “Even the N3b financial appropriation in the 2018 budget for the School has not been released to it. “As we speak now, the majority of the staffs have deserted the school as the Institution is unable to pay its staffs for many months, while the Vice Chancellor of the Institution is moving around the Country sourcing for funds. “The leadership of the IYC, National having visited the school has gotten first hand information about its functionality. “It is regrettable that the present government has reneged on its promises to pay due attention to the school. What we find out on our visit is an eyesore. “The generating plant that has been supplying power to the institution is not working as the management has no finance to buy diesel. “Students and the staffs are living in hell in the School building because there is no light. Water supply to the School has stopped because there is no light to pump water. “While FG is paying due attention to some other newly established institutions in the Country such as the Nigerian Army University, the Nigerian Maritime University, Okerenkoko which is the only economic benefit to the economically dejected, marginalised and pauperised Niger Delta people has been completely abandoned by the government of President Mohammadu Buhari. “After all the promises to the Niger Delta people which have hitherto reduced the growing tension occasioned by the resurgence of the bleak oil crisis in the region, the FG is paying lip service to the demands of the people. “The Nigerian government should not think it can always buy peace with lip service by given non-implementable promises to the people. “Starving the institution of funds upon the corresponding peace the Country is enjoying in the oil sector means that the present Government is still neck deep in perpetuating its illicit agenda to scrap the School. “The FG is playing with fire. Though we do not pray for a crisis in the region, if however, the government’s lukewarmly provocative and incisive stance instigates any breakdown of law and order in the region, then the present government should be held responsible,” IYC warned. The Ijaw youths called on President Buhari to urgently release funds for the school. “We will vehemently resist any move to scrap the Institution through the starving it of funds. “People of goodwill should prevail on the government to do the needful before things get out of control. “We cannot guarantee that the existing peace in the region will be sustained if the FG keep on maintaining its cynical stand on the School. A stitch in time they say saves nine,” the group further warned. It will be recalled that one of the conditions the FG met that put partial paid to the onslaught of militants in the region was the resumption of academic work in the university last year.